If you’re an avid user of Google Hangouts at work, then this update will make you happy. 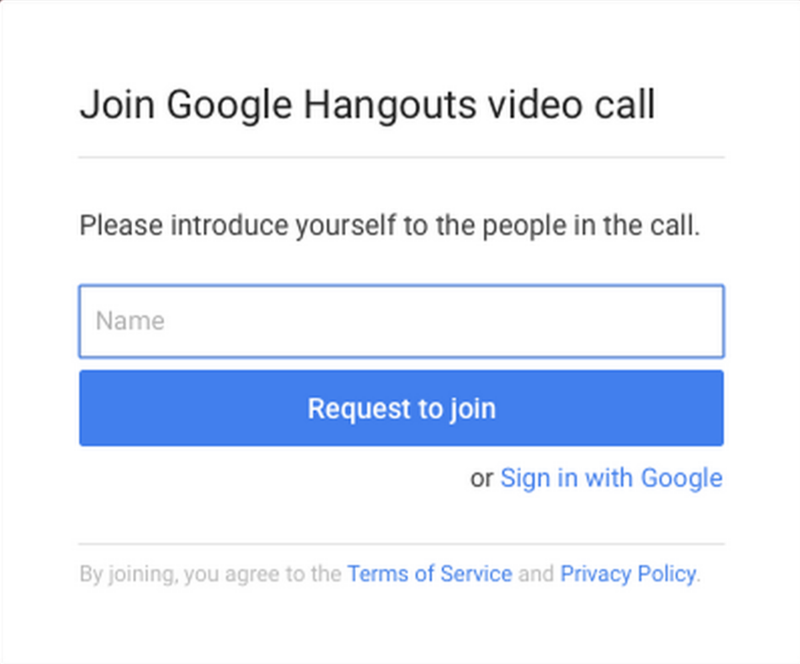 Starting today, we’re making this feature even more useful by removing the requirement that guests have a Google account in order to join a Hangouts video call. Here’s how it works: guests without a Google account who have been provided with the video call link by the organizer will be asked to provide their name and then request to join the call. The feature is available for people joining using a web browser, and Apps customers no longer have to choose a different service to accommodate one or a few guests. I’ve had situations where a call had one or two people who didn’t have a Google account for one reason or another, thus making everyone else move over to another platform like Skype.